October 7, 2015, 5:19 PM · Just in time for Halloween, the Warner Bros. Studio Tour has added a "Horror Made Here" exhibit to its Stage 48: Script to Screen attraction on its Burbank studio lot. The exhibit runs until Nov. 1 and include props and prosthetics from some of film's most popular horror franchises. Freddy Krueger’s glove from Nightmare on Elm Street, the original cracked bedroom door from The Exorcist and the sinister stunt doll from Annabelle are showcased amongst a collection of ghoulish film props in the attraction’s "Stage 48: Script to Screen." 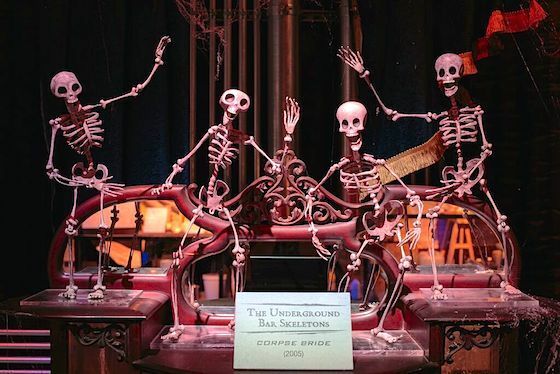 Unearthed from Warner Bros. Archives especially for the occasion, the authentic artifacts also include the spell book and wooden staff with totems and crystals from Practical Magic as well as the music box from The Conjuring. 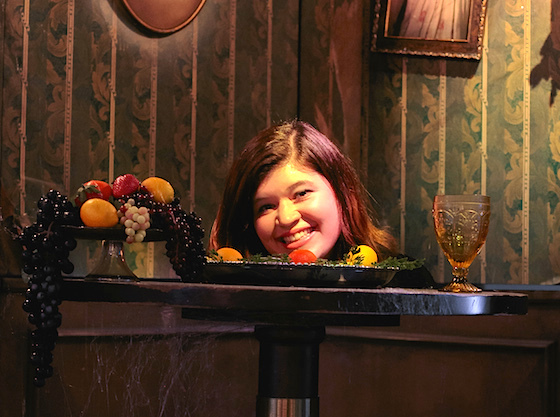 The exhibit also includes a trick-photo opportunity — a chance to put your head on a platter. The Thinkwell-designed "Stage 48: Script to Screen" debuted this summer as the centerpiece of the studio's new tour, which includes a look into popular soundstages and backlot areas.